1. 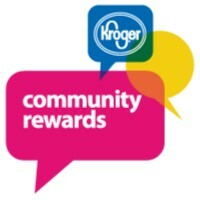 To enroll in Kroger Community Awards and give back to FCC, visit https://www.kroger.com/account/enrollCommunityRewardsNow and log into your Kroger account. 2. Once there, you will see “Give More Back to the Community.” Hit the “Enroll Now” button. This money benefits the Building Fund. To support First Christian Church when shopping on Amazon, simply click on the following link: https://smile.amazon.com/ch/61-0482959 and shop!